‘Massive global . . . shrinkage may only manifest itself when it’s already too late. Even then it’s difficult to predict how much time it will take before man had adjusted to the new circumstances. Our best indication of human . . . .shrinkage is the case of Homo Floresiensis who, when trapped on the island of Flores, shrunk to the respectable height of just 100 cm. Unfortunately it is as yet unclear when Flores Man arrived on the island and what their height was when they did. Therefore it is impossible to determine how long it took them to shrink.
. . . the dwarfing of large mammals trapped on islands like elephants, deer, and hippopotami occurred repeatedly. “Homo Florensis may be a type of “punctuated-devolution”, devolution of a human species which is the direction inevitably of the human race. Homo-Florensis may be an insight to what the human race will look like in the future.More research needs to be done it is quite possible that Homo Florensis may have another devolution tale other than a human lineage, but i do believe that an extreme case of devolution is possible. The website where this was obtained is from an evolutionary website which believes in evolution but also believes that animals are better off if they shrink. Ultimately this is a ratchet-hypothesis in which there is no return. 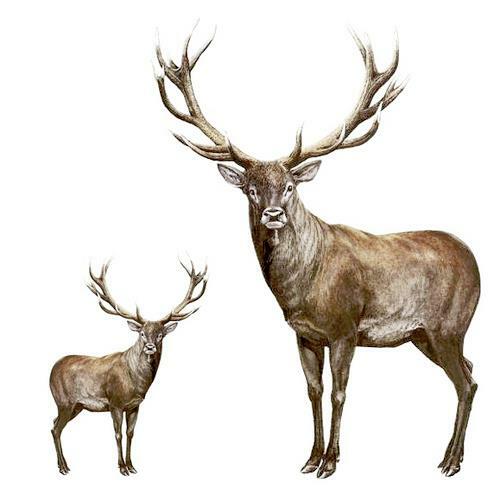 Bigger is better and not for evolutionary reasons, bigger is better for clinging to that peak optimum efficiency that mankind and the Red Deer was designed for. The idea that people would be better smaller is like trying to reduce the size of your old laptop by removing components from it, hardware components subtract, subtract, subtract equals no gain!